A hydrating hair and scalp conditioner that works to strengthen strands and soothe dandruff-causing irritation. 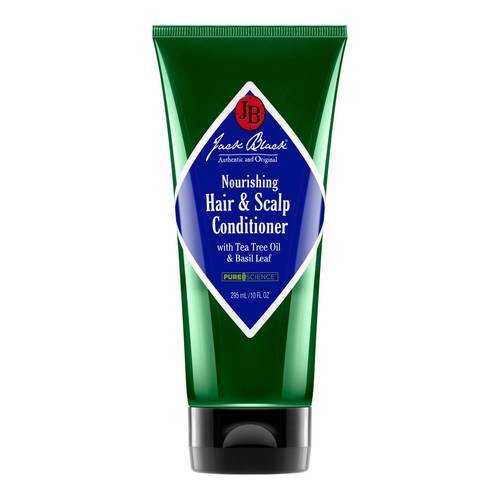 This hydrating hair and scalp conditioner works to strengthen strands and soothe dandruff-causing irritation. A blend of jojoba, kelp, and tea tree oil calms itching, boosts volume and shine, and keeps your scalp healthy and your shoulders flake-free. • To use, massage a small amount into wet hair and scalp following shampoo. Leave on remainder of shower. Rinse.